When your boiler lets you down, you want to know how much it’ll cost you to fix it. We’re happy to provide you with a no-obligation quote once we know what the problem is. Get the best solution from an Ilkeston team today and get your boiler running smoothly again. If you like what you see, and you need some help with your boiler, get in touch with our team today. We pride ourselves on our excellent customer service (we hate the hard sell as much as you do, so rest assured you won’t get that here). You can either give our team a ring or contact us via the form below. Either way, you’re assured of a swift and professional reply. Once they know what the problem is, an engineer will arrange an appointment to come and see you. You can expect a fast and efficient service, whether you need a new boiler installation or a basic repair. Call us at 0800 311 8990 for free and speak to a member of the team. If you don’t want to call you can complete the quote form on our website for quick quotes. 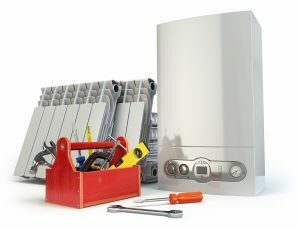 When your boiler breaks down, you need to know a qualified engineer will be there to fix it as soon as possible. That’s exactly the service we aim to provide. You don’t realise how important your boiler is until it stops working. If that happens during the colder months, the heat is soon lost from your home. Aside from that, you’ve got the issue of no hot water, so getting a fast solution is very important. Our team can be with you quickly to find out what’s wrong and how to fix it. Our engineers also carry many of the more frequently-needed spares with them, so your boiler could be up and running again far sooner than you think. Call today to find out more. 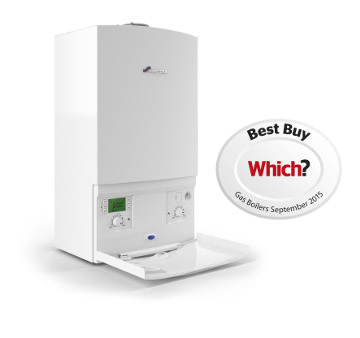 Considering buying a new boiler? No boiler lasts forever, even if yours seems like it will. But while you might think a long-lasting machine is a good thing, if yours has reached a grand old age it may no longer be as efficient as it was when you bought it. In fact, a new appliance could save you money daily on your energy bills. Our team can advise you on the best makes and models to consider, whatever size or type of property you have. From gas to combi boilers and other types as well, together we can find the best option for your home. In addition we will arrange services from the best engineers for central heating and boiler installation Ilkeston has to offer. A regular annual service can help ensure your boiler lasts as long as possible. Minor problems can soon turn into major ones if you don’t get them fixed when they first appear. A boiler inspection can identify these problems – issues you may not yet be aware of, but which could lead to a breakdown soon. Call our enquiry line today to book an appointment with one of our Ilkeston boiler engineers. Our entire team is qualified, Gas Safe registered and able to give you the expert service you need. So, whether you want to book a regular service, a callout to attend to repairs or an appointment to discuss buying a new boiler, we’re always just a phone call away. Calling us is quick and easy, so why not do it now? Alternatively, leave your details below and we’ll be in touch as quickly as possible. Contact the team you can trust today. Our engineers are Gas Safe registered and ready to find a solution to your boiler problem. Make sure that happens today with our help.